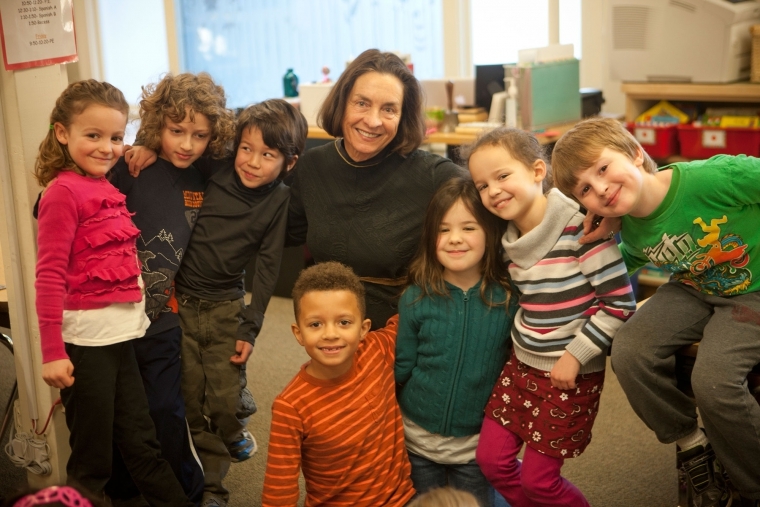 As Founder of Bertschi School, Brigitte Bertschi has served for the past 40 years as the leader of what's grown to become one of Seattle's most notable and innovative learning environments. Its reputation both locally and across the field of education is unequaled. Bertschi School is recognized for its forward-thinking comits to sustainability and diversity, plus a methodology of empowered collaboration for the betterment of community. 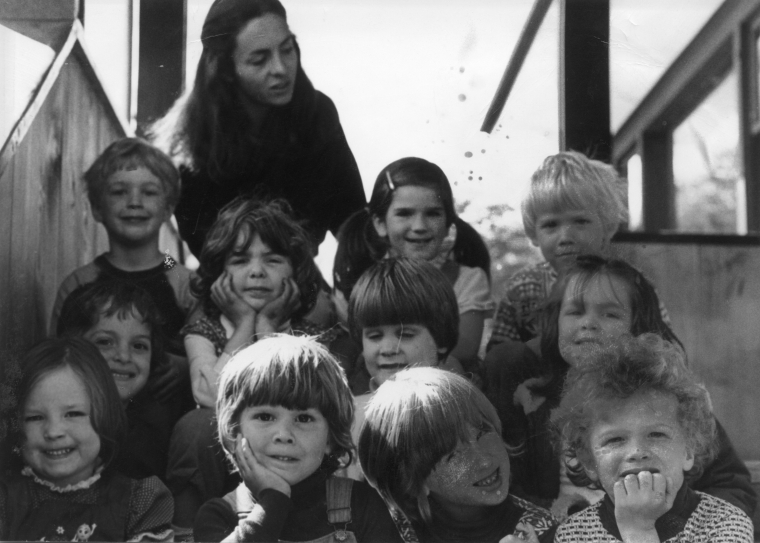 It was the Age of Aquarius when Brigitte first came to Seattle after earning her master’s degree in early childhood education at the Institute of Basel in 1967. She dreamed of creating a school to foster the intellectual, social, emotional and creative development of young children. Prior to that, she taught for a year in Paris and three years in Switzerland as the head instructor for the educational facility of the well-known Children’s Hospital of Basel, working with terminally ill children. “I was lucky to have this experience. Being part of an outstanding team of teachers working together showed me that a strong collaborative approach is essential to effective teaching, and I was excited and inspired by that. These early experiences became my roadmap for education,” says Brigitte. Over the course of four decades, Brigitte has pioneered and fostered the development of Bertschi School, which has grown to become renowned globally. With her trademark joy and commitment to children, she has moved the needle well beyond what one might have imagined possible when she started the school in 1975. She has also shattered some glass ceilings along the way. Today only one-third of America’s Heads of School are women. When she started the school, there were far fewer. 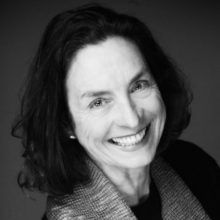 There is no question that Brigitte has been a groundbreaker both as a woman and as a leader in the field of elementary school education. From the beginning, Brigitte has spearheaded diversity initiatives, both regionally and nationally. She strived for building an equitable inclusive community; a place where trust is important and multiple expressions of diversity are celebrated and embraced. 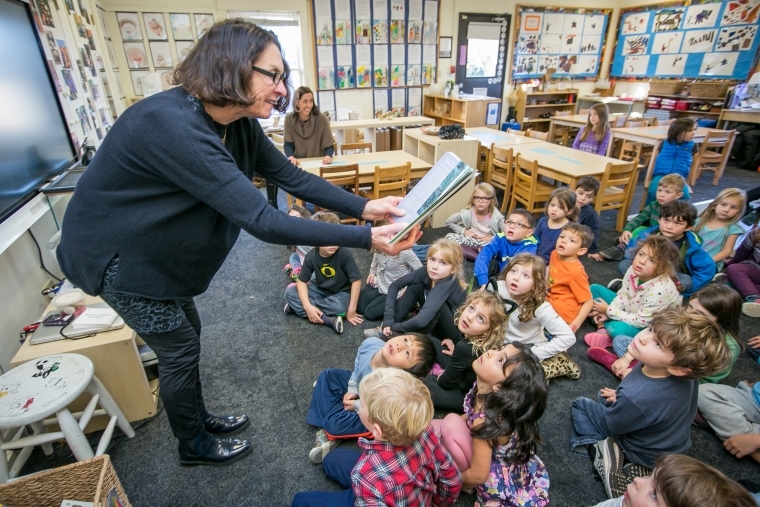 Where stories are shared to deepen and enrich the community’s understanding of diversity, inspiring our children to become compassionate and creative learners, with confidence to be courageous and honor people’s rights, including their own. Brigitte’s influence broadens perspectives and encourages our kids to become active community members. She wants students to learn to live and work in an engaged, inclusive, and collaborative culture. To this end, she has also actively mentored students, teachers, administrators and Board members. Fueled by the belief that school is a place where families are vital community members and key collaborators—Brigitte has encouraged everyone to work in partnership. When we consider the students, graduates, alumni, parents, faculty and community members whose lives she has influenced, Brigitte’s accomplishments are too many to name. A true testament of her tremendous impact is seen in those who have walked and worked alongside her: they become inspired, inclusive, and engaged in the world around them. It takes a collaborative effort along with strong leadership to sustain this vision throughout the school.